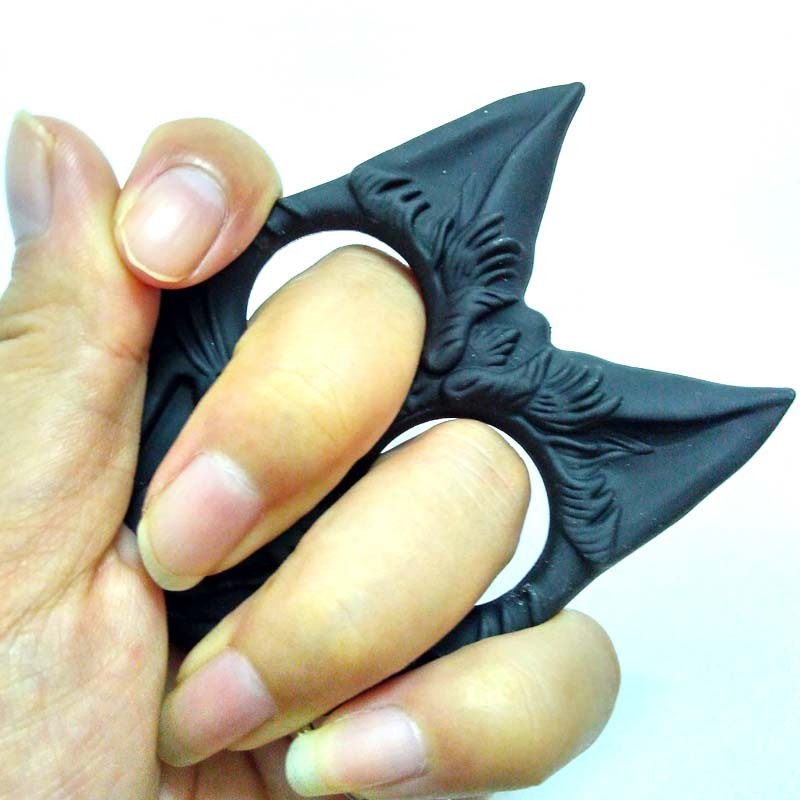 Made of tough and strong steel plastic, this keychain will deliver a devastating blow onto your attacker when used as a self-defense tool. 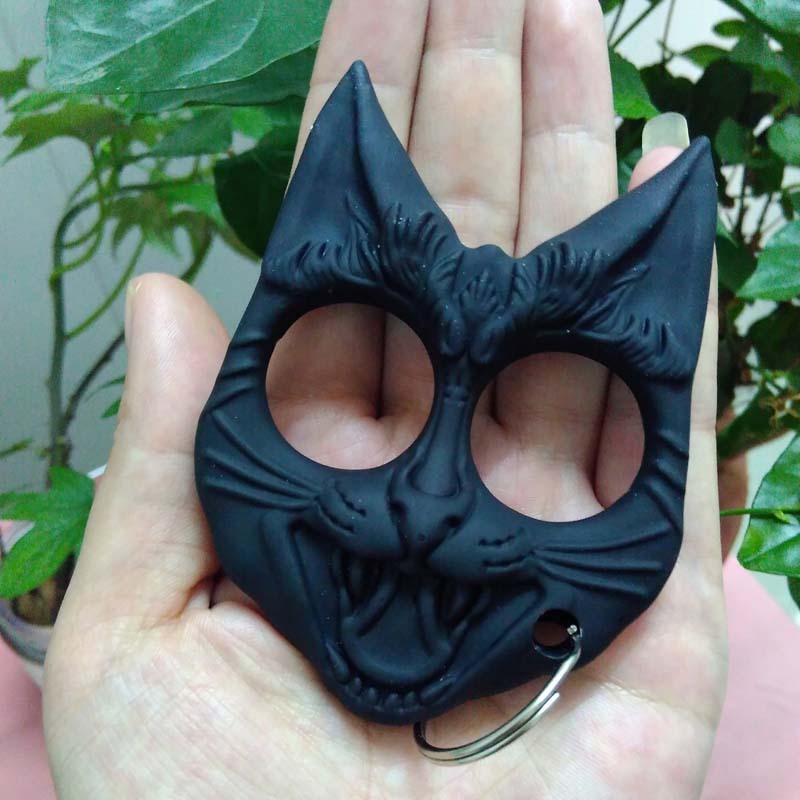 To use, simply slide your fingers into the finger holes found on the keychain and deliver a strong punch onto your attacker while jamming the sharp ears into him. When not needed, this tool acts as a cute keychain that will hold your house or car keys. 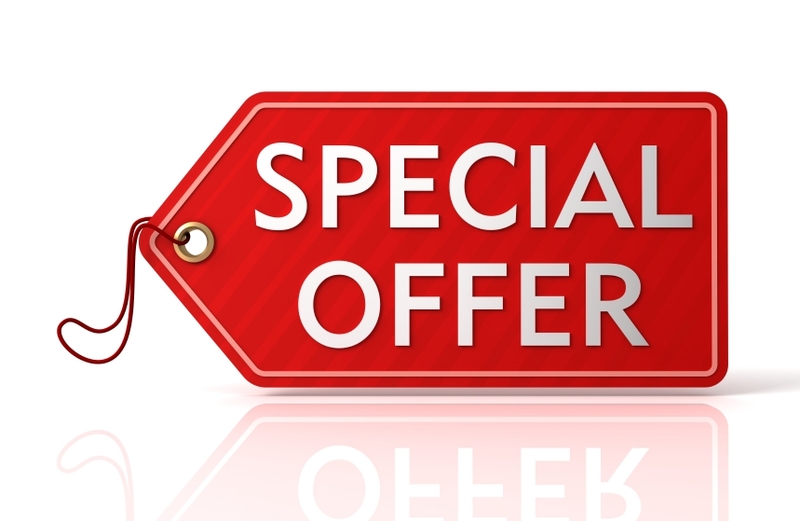 Carry this on you all the time for complete protection. 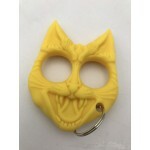 When you need an easily concealed defensive weapon, this Self Defense Evil Cat Keychain is the perfect match for you. Featuring a detailed cat design, put your fingers into the eyes, and the 1 inch ears become deadly spikes when clutched into the palm of your hands. 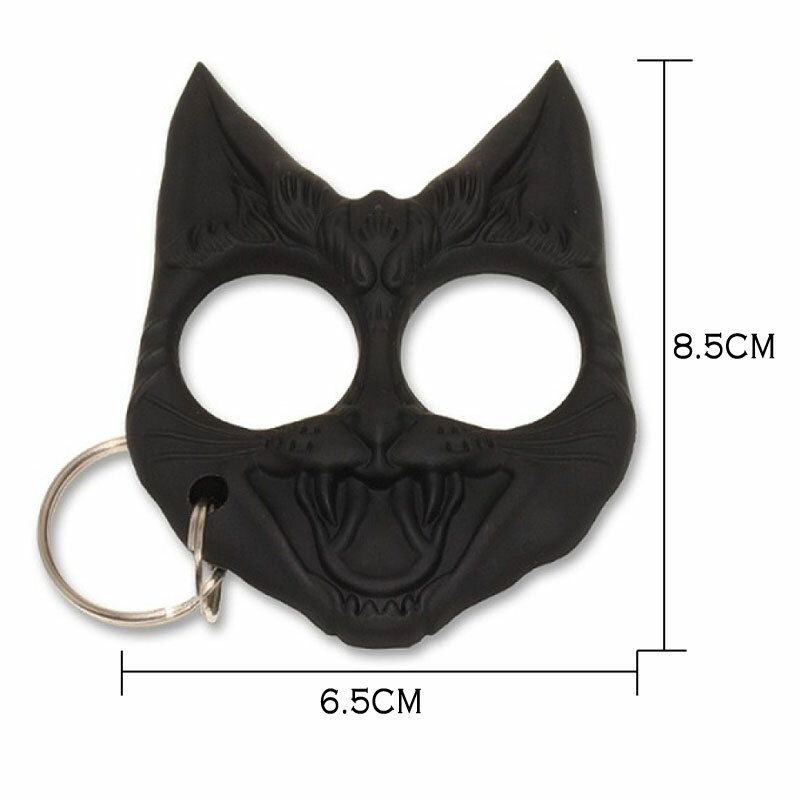 The indestructible poly-resin body makes it light weight and easy to carry around with you as a keychain. It sports a large silver ring to fit all your keys.